Did the chairman of the Senate Intelligence Committee, investigating the Russia scandal, provide the White House with inside information on the investigation? Sarah Huckabee Sanders was not a trusted source for accurate information 24 hours ago, but her trustworthiness has now reached new depths. 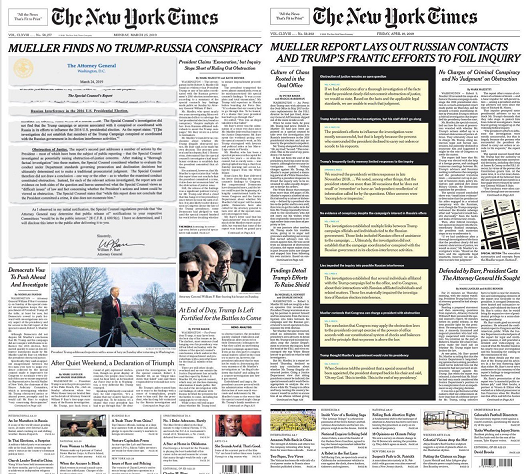 If all the revelations from the Mueller report came out at once, and we read the findings cold, the document would effectively end Trump's presidency. Even though the Democratic electorate seems to be only considering white men for 2020, no matter how mediocre or old or unaccomplished, Elizabeth Warren continues to demonstrate herself as the best possible candidate through her excellent policy pronouncements on a broad set of issues, including outside of her wheelhouse. Thus, this week she addressed an issue receiving zero press in the primary: public lands policy. As Donald Trump, Ryan Zinke, and Utah Republicans decided to eviscerate the state’s national monuments, Warren says what all Democrats should say–the next time we take power, we are recreating them and there’s nothing you can do about it. Backed by dramatic mountain peaks, Elizabeth Warren stopped in Utah on Wednesday to discuss her public-lands plan, including a promise to restore broader protections for two of the state’s high-profile national monuments if elected president. It’s a move that would not endear her to the state’s GOP establishment but could appeal to voters across the West angered by President Donald Trump’s decision to shrink the monuments. Warren’s plan puts her among the few Democratic candidates so far talking about public lands, a hot topic in the region. Warren, a U.S. senator from Massachusetts, said shrinking the two expansive Southwestern monuments opens up more land to potentially damaging extraction projects. “These national forests are our national treasure for everyone in this country, not here simply to be exploited by mining companies and drilling companies,” she said. The Republican National Committee, on the other hand, panned her plan as a “government takeover” that would hurt the economy. GOP state and local leaders have long been deeply frustrated with federal management of the public lands that make up much of the state and cheered Trump’s December 2017 decision to shrink the monuments, saying it would allow more land-use flexibility and local control. Warren’s salvo could also signal a wider slice of the field taking up the issue in the run-up to 2020, he said. Any Democrat will face an uphill battle to make serious inroads in the reliably conservative state, though Utah Republican voters tend to be more wary of Trump than others elsewhere. Meanwhile, lawmakers’ decision to move the state primary several months earlier, to Super Tuesday in March, will likely bring more attention from candidates looking for a boost earlier in the election cycle. Warren also touted her proposals for broader “systematic change,” including a wealth tax, a large anti-corruption push and lobbying reform at a speech before about 2,000 people in Salt Lake City. The public lands issue could also resonate far outside the state: Utah leaders’ support for the monuments reduction sparked a major outdoor-industry trade show to leave the state for Colorado, and California-based Patagonia joined Native American tribes to sue over scaling back the monument designations meant to protect resources like ancient cliff dwellings. Right. Obviously, she has no pretensions that she can win Utah in the general election. But this could definitely help her in Nevada and Colorado and maybe even Arizona. Locking up public lands may not be popular with Utah Republicans or the oil and gas industry, but they are very popular policies with Democratic primary voters, especially in the West. This is good stuff. Today is Tom Purdom's 83rd birthday. 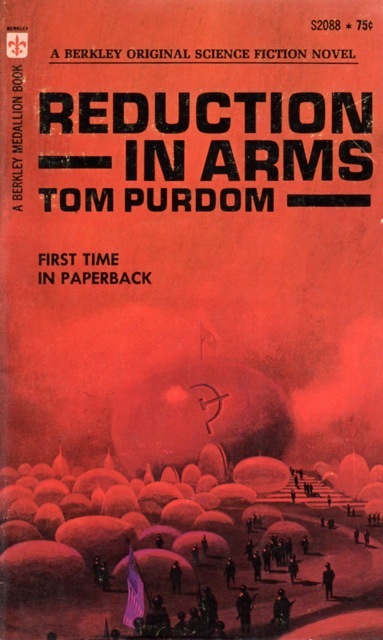 Purdom is one of my favorite lesser-known SF writers, mostly for his really impressive late short fiction, an outpouring of stories, mostly in Asimov's, that began in 1990 and has continued with little abatement for three decades. And I plan a review compilation (from Locus) later today. Before that, Purdom published some intriguing short fiction, beginning in 1957) and five shortish novels. He has written entertainingly about his career on his website. I've already posted reviews of the three of his novels that appeared in Ace Doubles, including a post one year ago today! Here are reviews of his other two novels (not counting the fixup Romance on Four Worlds from 2005, which is essentially a collection of his four "Casanova" stories from Asimov's.) These books appeared in 1971 and 1972. 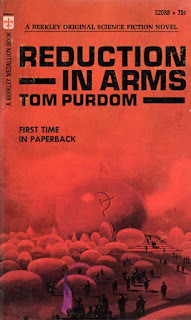 Reduction in Arms is Tom Purdom's fourth novel, published in 1971. Its subject matter is rather interesting, somewhat dated in many ways -- very 70s, though with some resonance with today's "current events". The story is told mainly from the viewpoint of Jerry Weinberg, a US weapons inspector working in the Soviet Union. It appears to be set in the mid-80s, at a guess. A strict arms-limitation treaty has just been signed, such that both countries (and China, Britain, France, and other nuclear powers) have agreed to allow regular and sometimes random inspections of any facility that may house weapons building or research. The problem is that "weapons research" might be done is a very small area, when you consider that weapons might include tailored viruses. And indeed, Weinberg is suddenly summoned to inspect a Russian psychiatric hospital, because the Americans have learned that a distinguished microbiologist has been undergoing "treatment" there for some time. The US has information that the man has been seen in a bar -- entirely inconsistent with his supposed mental illness. When they get to the hospital, they are denied entry to certain floors, including the microbiologist's floor, on the grounds that experimental treatments on those floors are so rigorous that any disturbance will completely ruin things. Naturally the inspectors are suspicious, but protocol requires that they go through channels. Things are further complicated by factions in both the US and Russia which oppose the disarmament treaty, and which are itching for a "incident" which will make it politically necessary that it be abrogated. So Weinberg must balance several possibilities -- that this might be staged by the Russians to embarrass the US; that this might be staged by US hardliners -- or if not staged, that a minor infraction will be fanned into something more serious for political reasons by said hardliners; that the Russians really are trying to get away with something; that everything is innocent and the US will come out with egg on its face; or some combination of the above. The ideas here are interesting and worth thinking about, but a lot ends up not very convincing. 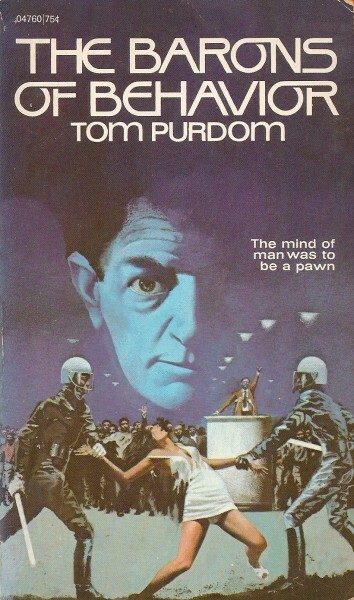 Purdom's ideas about the future of psychiatry, in this and even more in other novels (particularly The Barons of Behavior) are downright scary but also, I think, a bit unlikely. I also found the likelihood of such an arms control treaty as described rather low -- and the danger that it could be readily circumvented by an even better hidden remote lab higher than described. Also, the book rather drags -- it's very talky for about the first half, though the second half moves much more rapidly, with plenty of action. Still, not in my opinion one of Purdom's best efforts. The Barons of Behavior is an interesting book on several grounds. 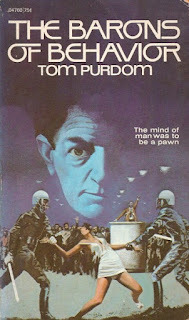 Purdom, as I have mentioned The Barons of Behevior, from 1972, was and remains his last novel. He published two more stories at long intervals until the 90s, when he returned to the field with a vengeance -- he has published dozens of stories since 1990, most in Asimov's, many absolutely first rate. before, is an interesting author with an interesting career shape: he began selling SF in the late 50s, and published a dozen or so stories, and 5 novels, through the early 70s. The first thing that strikes me about The Barons of Behavior is that it is very uncommercial. Its hero is hardly admirable -- or, if admirable in many ways, he is also not very likeable, and he is shown doing many bad things. The plot is resolved ambiguously, and long before the natural end of the action. The general theme is very scary, and the "good guys" are forced to use the tactics of the bad guys, and not in very nice ways. The "hero" is Ralph Nicholson, a psychiatrist based in Philadelphia (I believe). The book is set in either 2001 or 2003. Nicholson is concerned about the tactics of Martin Boyd, the Congressman representing Windham County in New Jersey. Boyd is using psychological profiles of every resident of his district to control their reactions and voting. He has even arranged for neighborhoods to be adjusted so that only people of a given profile live in them. Nicholson, and his boss, another politician, believe that the only way to stop Boyd is to get him out of Congress, and the only way that can happen is to arrange for someone else to get elected. But the only way they can counteract Boyd's psych work is to do the same -- choose a candidate and slant his message in a way that matches the psych profiles of voters. But Boyd plays dirty -- he kidnaps Nicholson, using his bought-and-paid-for police force, and threatens to use a profile of Nicholson's wife to suborn her. Will Nicholson stay the course? Will Nicholson's chosen politician go along with the not precisely ethical actions urged on him, including staged incidents designed to make voters support a "citizens' patrol", organized by the candidate? Will Nicholson's wife stay faithful? Will all this effort even be enough? Along the way we get something of a picture of Nicholson's character and history, and of the civic background of his time. Perhaps all this is a bit sketchy, but it's of some interest. Notably the sexual mores are loose and a bit weird seeming -- in particularly Nicholson's pursuit of his wife is very calculated, including carefully planned affairs with other women. All this ties into the psychological themes of the novel, of course. For all the interesting ideas and considerable ambition, however, the book isn't quite successful. It really doesn't overcome its odd (presumably purposefully so) truncated structure and its unlikable characters. But I think the ambition and honest of the effort deserves admiration. The news, man, it's always changing. Picture 1 and Picture 2 since twitter always formats it badly. Air temperature 50 F, wind south about 10 mph, overcast with fog. Flood watch for most of the state, with rain forecast and melting snow. May get a break long enough for a bike ride. Or not. MMMay in Japan open up a whole new world! If you haven’t made your pledge yet, now’s the time! Go leave your pledge in the comments on Zoe’s blog post. And remember, the goal is to challenge yourself to a learning experience — but you don’t need daily photos! Record and learn in any way you want. On April 19, 1911, furniture makers in Grand Rapids, Michigan went on strike to protest the terrible wages and working conditions that defined their lives. This strike would also show the toxicity of certain Protestant sects toward the American worker struggle and the interaction between different ethnic groups could shape a given strike. By the late 19th century, Grand Rapids had become the center of the American furniture industry. With the region’s vast hardwood forests in close proximity, it’s hardly surprising that some upper Midwest town would center the furniture industry. It started to take off in the aftermath of the Great Chicago Fire in 1871 and grew rapidly from there. In 1890, the city had about 90,000 residents, of which about 1/3 were foreign born. 4,000 of these residents worked in the city’s 85 furniture factories. By 1910, the industry employed over 7,000 workers. It was difficult for these workers to come together in a culture of solidarity. In a heavily immigrant community, one that was largely Polish, language barriers were a huge issue. But Grand Rapids and the surrounding area were also a major home of Dutch Reformed churchgoers. This notoriously conservative Calvinist sect was not friendly to Catholics or to unions. That was a problem. But there were attempts to organize workers, if not into unions per se, then into support organizations, going back to the 1880s. Still, there was little real move toward worker activism as the 1910s began. Moreover, the Dutch and Poles had little in common, voting differently, having different positions on temperance and other social issues, and with different views on labor rights. In a city-wide ordinance to create an 8-hour day, the Poles voted for it, the Dutch against it. But in 1909, one company fired a long-time worker, someone who had worked there for 26 years, when he led a committee of workers to the boss to ask for a raise. This had come out of the most skilled workers asking for a raise. These were older immigrants, Swedes and Germans in part at least. The Poles occupied the lower stratum of the factories, whereas the Dutch tended to leave after a generation or two or weren’t as active in pressing for labor rights. Anyway, that outrage really angered a lot of workers, even the Dutch Reformed. The United Brotherhood of Carpenters and Joiners provided the leadership here and hoped to bring these workers under their umbrella, much as the more skilled workers hoped to organize with that union. Over the next two years, the Carpenters raised demands again and again. The main demand was a 10 percent raise. 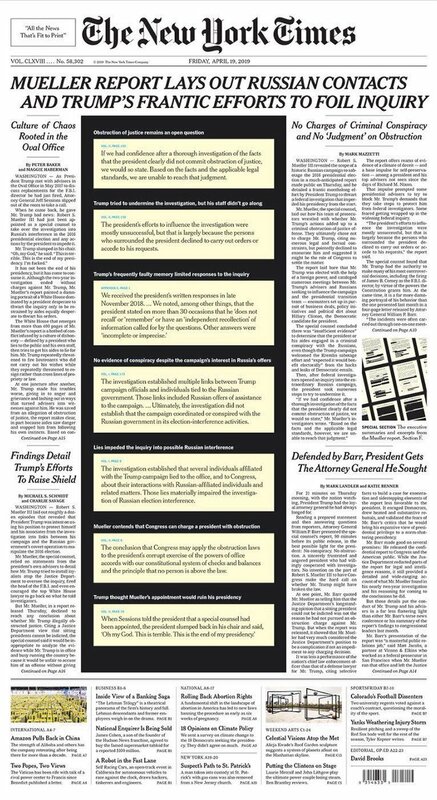 The companies tried to buy time. The Carpenters agreed to delays, but after the furniture season of 1910 ended that summer (there was a big exhibit in July that was the annual peak of the industry), the companies said they would talk to individual workers but that talking to a union was a restriction of their freedom and they would not negotiate a contract. The Carpenters did not rush into strikes. They took the earlier rejection in stride and then came back in January 1911 with additional demands. Again, the 10 percent pay raise, but also a reduction in working hours from 10 to 9 with no pay reduction, a minimum wage to replace piecework, and collective bargaining. The mayor, sympathetic to the workers, attempted to arbitrate a solution. The furniture makers blew them both off and the strike was on in April. The employers were as intransigent as any others during this anti-union era. They refused to negotiate with the workers or the UBC. They put pressure on bankers to foreclose on strikers’ homes. This was hard on the strikers. Workers were poor. The Carpenters did not have a large strike fund. Many workers had to rely on their churches to get by, some of whom were both strained and not supportive. It did not help when the furniture makers started bringing the scabs. The Carpenters worked hard to keep the strikers from engaging in violence against them, as the union knew that would lead to nothing positive. But the bishop in Grand Rapids did support the strikers and with so many Catholic immigrants in town, that mattered a lot. More surprisingly, the mayor remained on their side, angering the employers. There was a lot of fear of the scabs bringing smallpox into the city and the mayor acted to restrict them. A judge ruled in favor of workers’ right to picket. The Dutch, nervous about all of this, restricted themselves to picketing. The Poles were happy to throw rocks and break windows. Moreover, it was their wives who led the militancy, often throwing rocks into the back of the heads of strikebreakers who were walking by. The furniture companies called in the Pinkertons, but the mayor allowed the strikers to arm themselves with sticks and form militia-like structures in defense. Violence became more common by mid-May, with a May 15 action that led to a mass rock-throwing incident by the Poles that even the mayor couldn’t stop. In the aftermath, the Carpenters’ lead organizer in Grand Rapids, William MacFarlane, started tipping off the police when he feared violence. What broke the strike after four months was the Dutch Reformed ministers, who basically ordered their parishioners back to the job. They said that union membership was incompatible with church membership. Both the Dutch and the UBC were not comfortable with the militancy of the Poles either. This forced a deal, but workers got little more than the 9-hour day. The Poles stayed out a little longer but without Carpenters’ support, they had no chance for a better deal. In the aftermath, the furniture makers weakened the position of the city’s mayor so they would never have to deal with political opposition from someone who mattered again. Moreover, no long-standing labor movement came out of what ended up as an isolated incident. It would take until 1937 and the rise of the CIO that Grand Rapids furniture workers would be first organized with the United Auto Workers. Today, the Dutch Reformed influence is still very strong in this region, which is bought and owned by the DeVos family, based in Grand Rapids. This is also Justin Amash’s congressional district, so, yeah, this is a special place. I borrowed from Mary Patrice Erdmans, “The Poles, the Dutch, and the Grand Rapids Furniture Strike of 1911,” published in the Autumn 2005 issue of Polish American Studies for many of the details of this not well-known labor action. This is the 308th post in this series. Previous posts are archived here. 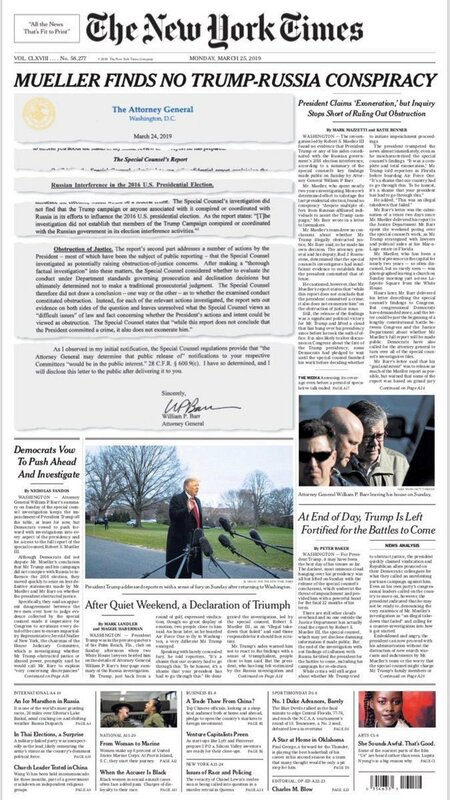 Looks like Barr's attempt to control the narrative failed. Spectacularly. sewcialists_feed - It’s time for Me-Made May again!